The college lifestyle of meeting new friends and trying different things might be the best part of the college experience for some. But you know what’s even better? Graduating college and getting your life started right out of the gate, which isn’t as simple as it seems. The hassles of college are certainly challenging, but they pale in comparison to the hassles of adult life. Getting a job? Finding insurance? Scheduling regular appointments at the doctor or dentist or wherever else appointments are required? That stuff is brutal and its always going to be brutal. But we did find a few towns where maybe the tribulations of adulthood can be offset by some good things, like like-minded folks and a good paying job. We analyzed some data and found the twenty best college towns for grads to settle down in once they’re done getting degrees. You’re going to need a job after college. We know, we know, it sounds horrible, but it’s a lot better than the opposite. Being stuck out of work sounds like a dream, but it’s a nightmare when the rent check is due every month. We measured how likely new college grads were to get a job by looking at unemployment rates among the newest set of college grads. We looked at median income for those with a bachelor’s degree and subtracted the median income of those without to figure how valuable a bachelor’s degree is in each town. It’s good to be around people like you. Diversity is good too, but towns that are full of young, recent college grads are pretty great towns for college grads to be in. Also of note, the definition of a college town we’ve used is the town’s population must be less than 5x the enrollment of the given colleges. Our final school and college town combination on this list is the Hoosiers of Bloomington, Indiana. Once again, another basketball school that gets to call home to a slice of Americana. Bloomington with a population estimated to be around 85,000 is known as the “Gateway to scenic southern Indiana” and is the seventh largest city in Indiana. Bloomington is full of beauty and culture. The top employers in the area are Cook Group Inc., Indiana University Health-Bloomington, Baxter Healthcare Pharmaceuticals and Premier Healthcare. And there you have it. 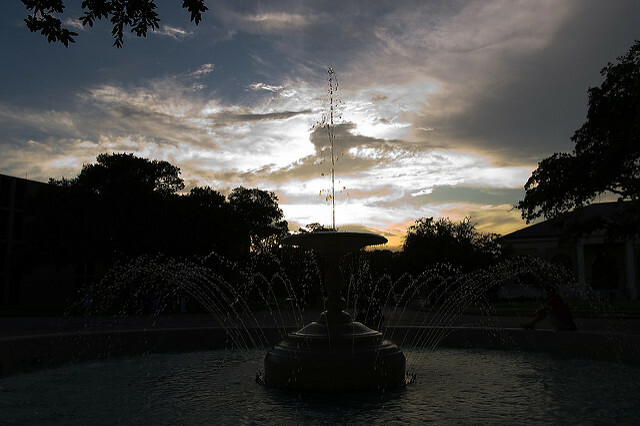 Twenty of the best colleges and their respective towns for graduates to stick around in. To find properties near these schools and many other, check out Rent College Pads individual property pages today! Known more commonly as California, or simply Cal, this university is often considered the top public school in the United States. It’s in California so you know it’s gotta be beautiful. Berkeley is on the east shore of the San Francisco bay and comes in with an estimated population of around 120,000 people. It’s a bike-friendly, health-conscious town that taxes its soda, banned plastic bags and encourages green living. For many college students, it’s a bit of a paradise of peers, with one of the highest percentages of 25-34 year-olds with a degree. Top employers in the city are Lawrence Berkeley National Laboratory, Alta Bates Summit Medical Center, Bayer, Kaiser Permanente and Pacific Steel. I’m starting to notice a trend of basketball schools having great towns to live in post-graduation. The Jayhawks call Lawrence home. Lawrence is the sixth largest city in Kansas with a population of around 90,00. It is located right on the banks of the Kansas and Wakarusa Rivers. The top employers in the city are General Dynamics, Lawrence Memorial Hospital and Hallmark Cards. Our third Virginia school on this list is James Madison University. Once again we another one of those fun trendy upset picks in the NCAA Tournament. 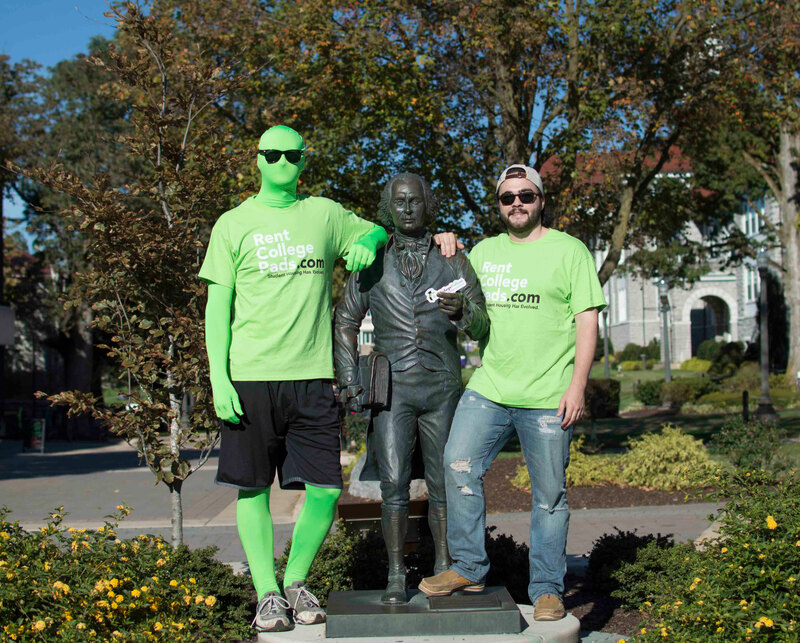 The Dukes of James Madison call home to Harrisonburg. Located in the Shenandoah Valley region, Harrisonburg has a population of around 50,000. The area is definitely noted for its historical significance but it definitely has upped its game for the modern lifestyle. The city has been lauded as one of the best places to live. The top employers in the area are The Rockingham Memorial Hospital, Cargill Meat Solutions, R.R. Donnelley and Sons Company, AND Merck & Company Inc. The Aggies of USU have a coeducational space-grant, land-grant, research university. I will always remember this school because I love their color combination with that great shade of blue and white. Logan has a population of around 50,000 and it’s metropolitan area has been rated second safest in the United States. Logan is surrounded by the beautiful scenery you’d expect out in the mountainous western United States. The city has a large number of outdoor activities available and the top employers in the area are the Space Dynamics Laboratory, ICON Health & Fitness, Ifrogz and S&S Worldwide. We return to a D1 school that likes to yell pig-sooie a little bit too often. The only SEC school on this list calls Fayetteville home. The 3rd largest city in Arkansas has a population estimated to be around 82,830. The city is near Bentonville home of Wal-Mart and Springdale, the home of Tyson Chicken. As if the case with many cities throughout Northwest Arkansas, those companies tend to dominate a lot of the economy, with the other most significant employer being the University itself. Other top employers in the area are Washington Regional Medical Center, Superior Industries, Arvest Bank, Aryshire Electronics and Arkansas Western Gas. This wonderful public research university is located at the base of the San Francisco Peaks in Flagstaff, AZ. Graduating Lumberjacks can take solace in the fact they’re in a pretty good city already. The natural beauty surrounding Flagstaff is an immediate benefit of living in the area. The city itself comes in at around 70,000 people but thanks to the surrounding metro area there can be over 140,000 people to interact with. Flagstaff is a hub for culture and its top employers are Flagstaff Medical Center, W.L. Gore, Dell Systems, SCA Tissue and Nestle Purina PetCare. Since we’re looking at cities for colleges and not just the cities by themselves, Columbia, MO scores a double victory right here. Graduates of these two colleges are lucky to call Columbia home. The city has a population of around 119,000 and has a reputation for progressive politics, public art and powerful journalism. Unlike many midwestern cities, Columbia has never been a huge manufacturing town, relying more on education, healthcare, insurance, and technology businesses to keep residents employed. Popular companies Shelter Insurance and CarFax, which you’ve surely seen commercials for, were actually founded in the town. 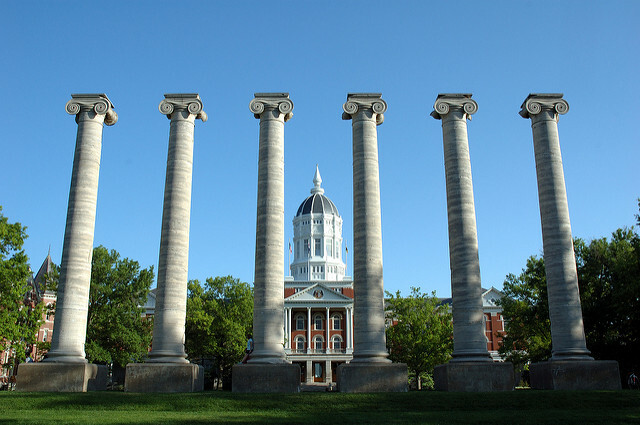 The top employers in the city are University of Missouri Health Care, Boone Hospital Center, MBS Textbook Exchange, and the aforementioned Shelter Insurance. Commonly referred to as Miami of Ohio, this MAC school calls Oxford, OH home. The school is always taking home honors so it’s no surprise the city is as well. Oxford returns us to a small town size clocking in at around 22,000. The college town atmosphere has been lauded by many publications including Forbes who dubbed it their best college town in the US in 2014. The top employers in Oxford are the McCullough Hyde Memorial Hospital and the Square D Company. The home to graduating Redbirds is anything but normal. The city that houses the oldest public university in the state of Illinois stacks up pretty well in our rankings. The city itself has a population of over 50,000 and has a lot of leisure activities available for its residents. The top employers in the area are State Farm Insurance, Country Financial, AFNI INC., and Heritage Enterprises. This public-private flagship research university is home to the cavaliers and it’s located in Charlottesville, or C’ville, in the Commonwealth of Virginia. Charlottesville has a population of around 50,000 people and has much historical significance as it was the home to Thomas Jefferson and James Monroe. The Rivana River adds to the natural beauty of the area. The top employers in the area are UVA Health Services, UV Medical Center, Servicelink Management Com Inc, RMC event, and SNL Security LP. Well regarded for both its athletics and educational prowess, this university is widely lauded as one of the best in America. Well, it appears the city that it calls home is pretty darn great as well. Ann Arbor is the sixth largest city in Michigan with a population around 117,000. It always appears in the top college towns in America, but life for college graduates seems to be just as good. The top employers in the area are Trinity Health, GM Milford Proving Grounds, IHA, Thomson Reuters, Truven Health Analytics and ProQuest, but companies like Domino’s Pizza and Google also employ plenty of new Michigan grads. Right atop of the bluffs of the Blue Earth River valley resides this popular public comprehensive university 75 miles southwest of the twin cities. MSU-Mankato is considered the flagship school of the MSU system. Mankato is a gorgeous city with a population of over 40,000 people. Despite being in snowy Minnesota, Mankato receives on average less snow than the rest of the state. The most popular places to work in the city are at the Mayo Health System, MRCI Work Source, The Thro Company and for MTU Onsite Energy. With a name like College Station, you better be a good college town and College Station, or CStat if you’re a local, delivers. This is definitely one of the bigger cities on this list clocking in at over 100,000 people. That doesn’t detract from making this a great place to live, though. This city has come a long way since being founded in the old days of railroad expansion. Live music is a huge draw in College Station. Places like Church Street BBQ and Hurricane Harry’s frequently have concerts, as well as many other places in the Northgate District. The top employers in the area include St. Joseph Regional Health Center, Sanderson Farms, Reynolds and Reynolds and New Alenco Windows. This university entered many of our minds and hearts when it shattered most of America’s brackets in 2006. The school however, is known for much more than just it’s basketball program and Fairfax is a very fitting home to the largest public institution in the state. Fairfax has a population of 24,013 which has been continually rising throughout the years. Forbes once named it one of the wealthiest counties in America. The historical city gets a lot of props for being just a short drive from the nation’s capital, and that short drive is a likely player in the city’s wealth. Students looking to work in DC or neighboring towns could likely make enough to live comfortably in Fairfax. The top employers in the city are the Wackenhut Corporation, The Fairfax Nursing Center, Inova Health System and Zeta Associates. Popularly referred to as Virginia Tech and home to the Hokies, Virginia Polytechnic Institute and State University calls Blacksburg, VA home. The city has a population of 42,620 which is dominated by the student population. It’s been hailed as one of the best places in the U.S. to raise kids and one of the best college towns in the south. Dog lovers enjoy the dog parade during Summer Solstice Fest as the end of summer winds down and people come from around the state to enjoy Steppin’ Out, the annual street fest. Some of the top employers in the city include Moog, Wolverine Advance Materials, United Pet Group and Luna Innovations. The University of Iowa marks the first of two Big Ten schools on this list as Iowa City is a pretty great place for Hawkeyes to settle down in. Iowa City is the fifth largest city in the Hawkeye state with a population of just a bit shy of 68,000. The area has been ranked in many of the best places to live including Forbes calling it one of the best places to start a business. Throughout the summer residents can enjoy farmers markets, brewery tours and even stops at local wineries like Cedar Ridge Vineyards. Top employers in the area include the Hy-Vee, ACT inc, Pearson Education, and Systems Unlimited. The number two spot on this list belongs to graduating Falcons of Bowling Green State University. Bowling Green has a population of 30,028 and is located in the middle of beautiful Wood County. Home to a few popular festivals, like the Black Swamp Arts Festival, it’s located just west of Ohio’s first utility-sized wind farm. Its unemployment rate was the lowest on our entire top-20 list of college towns, so Bowling Green State grads have a lot to look forward to after college. Recent grads can turn to Wood County Hospital or CMC Group Inc., two of the largest employers in the city. West Chester had the 4th highest score in unemployment, the best benefit of having a bachelor’s in the city and the fifth highest rate of like-minded people in the city. 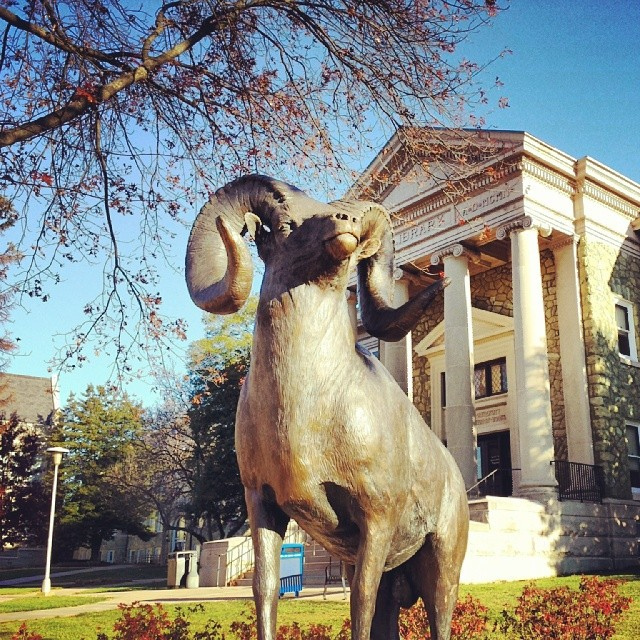 West Chester is a smaller liberal arts college about an hour from Philadelphia and students rave about the parades and food festivals you’ll frequently find in town. Recent grads enjoy Turks Head Music Festival while young parents can keep kids busy with Touch A Truck Day. The town frequently puts on events, especially in the summer and around the holidays. The city itself is just a tick over 18,000 people according to the 2015 U.S. Census, and the borough itself straddles the famous Brandywine River. Recent grads can turn to a few major companies for employment such as Communications Test Design Inc, VWR International and Synthes.